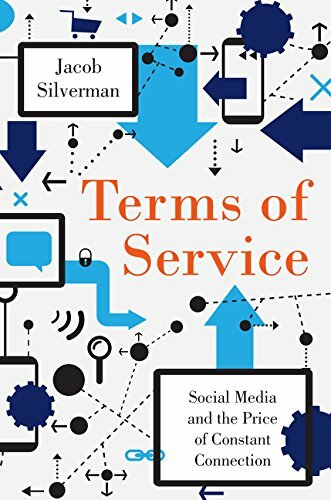 [PDF] Terms of Service: Social Media and the Price of Constant Connection | Free eBooks Download - EBOOKEE! Description: A brilliant young literary and cultural critic joins the ranks of such stellar commentators as Evgeny Morozov and Nicholas Carr with this incisive commentary on social media culture and its impact on how we view ourselves, each other, and our worldâ€”an ambitious, perceptive, and illuminating manifesto that exposes the costs of our online connections. Social networking is a staple of modern life, but its continued evolution is becoming increasingly detrimental to our lives. Shifts in communication, identity, and privacy are affecting us more than we realize or understand. Terms of Service crystalizes the current moment in technology and contemplates what is to come: the identity-validating pleasures and perils of online visibility our newly adopted view of daily life through the lens of what's share-worthy and the surveillance state operated by social media platformsâ€”Facebook, Google, Twitter, and moreâ€”to mine our personal data for advertising revenue: an invasion of our lives that is as pervasive as government spying. Jacob Silverman calls for social media users to take back ownership of their digital lives from the Silicon Valley corporations who claim to know what's best for them. Integrating politics, sociology, national security, pop culture, and technology, he explores the surprising conformity at the heart of Internet culture, explaining how social media companies engineer their products to encourage shallow engagement and discourage dissent, and reflects on the implications of the collapsed barriers between our private and public lives. Illuminating the new era of social media as never before, Silverman brings into focus the inner conflict we feel when deciding what to share and what to "like," and explains how we can take the steps we need to free ourselves. No comments for "[PDF] Terms of Service: Social Media and the Price of Constant Connection".